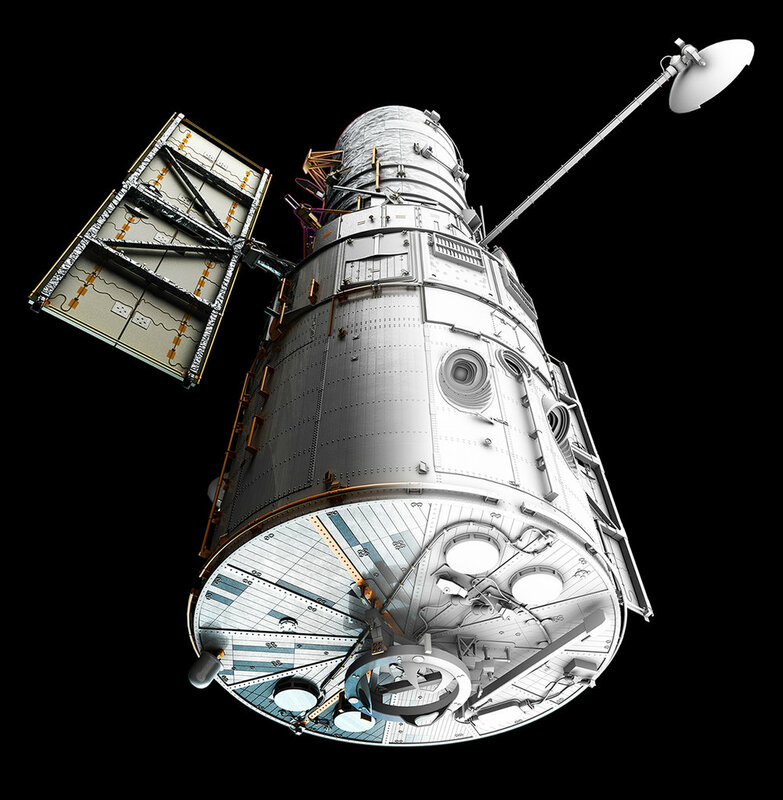 I stared at hundreds of photos of the real Hubble Space Telescope to get the details as accurate as I could. In the process I learned a lot more about this awesome piece of technology that has brought us so many beautiful pictures of the universe we live in! 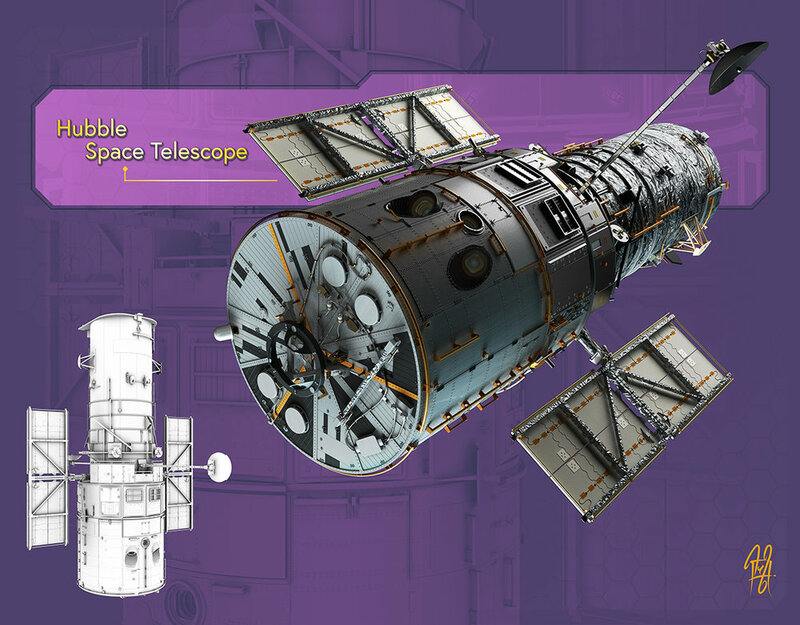 I decided early on to do the insulation foil on the front half of the telescope in texture rather than in geometry, so the bulk of the fine detailing was reserved to the lower half of the telescope where things like rivets and wiring were visible.